There are a million different ways to look at novel-based Divergent (2014). In a future world, where people are divided into factions based on personality, a teenager is warned she is Divergent and will never fit into any one group. When she discovers a conspiracy to destroy all Divergents, her life is threatened. One main focus of this movie was the truth about how fear manipulates people to do terrible and regrettable things to others. We see people divided into groups based on their social and temperamental makeup. The main character Tris, played by Shailene Woodley, struggles when she discovers she does not fit into any of the normal categories and is told to keep quiet. The “inconclusive” test results of Tris was another main focus in the film.This is where I would lump Divergent in with Hunger Games and other ‘apocalyptic’ types of movies. There seems to be a similarity in their messages about possible future problems with humanity. If any one aspect of the film was especially odd, it was Kate Winslet playing the bad guy, or “bad girl,” in this case. It was a bit distracting to see my favorite Titanic star in short blonde hair as Jeanine; almost as distracting as seeing Theo James play a modern day Marlon Brando or “Four.” Four acts as Tris’ trainer in the “Dauntless” faction. On a positive note, the bond between him and Tris was believable. Throughout the film, they both seemed to harbor a deep connection with each other (wink, wink). 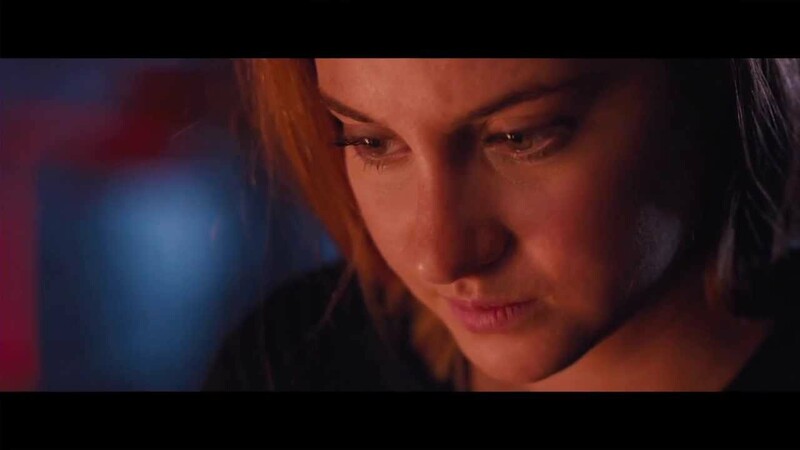 “Fear doesn’t shut you down – it wakes you up,” Four tells Tris, explaining her destiny and the manner in which she would be able to help people in need. It was refreshing to see Tris, as a woman, taking the first “jump” in many risky parts of the film. Her choices guided the action and her representation of bravery in a “Divergent” individual made her all the more attractive. It’s no surprise Woodley is a very popular star at the moment. Divergent provides a thought-provoking experience, complete with potential dangers of the future, strong female characters (both good and bad) and an endearing romance.